In what’s surely one of the best TV episodes of the year, “Teddy Perkins” is Atlanta at its most unnerving, dreamlike, and challenging. The extended episode, written by Donald Glover and directed by Hiro Murai, follows Darius (Lakeith Stanfield) as he tries to pick up a piano owned by an eccentric agoraphobe — the titular Teddy Perkins (played by Glover in prosthetic whiteface) — and it’s packed with shout outs to pop-culture touchstones across music, film, TV, and meme culture. Atlanta being Atlanta, all of them play an important role in the story that’s told. Below, we pick out each major reference in “Teddy Perkins” and explain its significance. In almost every way, “Teddy Perkins” is an extended metaphor for the tragedy of Michael Jackson — and not just because Donald Glover spends the episode in whiteface to mock the man’s later life. (His cartoonish disfiguration recalls the infamous Bo’ Selecta! Michael Jackson sketch.) There are plenty other surface references, too: Benny’s “rare skin condition” is a wink at MJ’s vitiligo; Teddy’s reminder to finish a hat for Dionne Warwick, who was MJ’s close friend and collaborator; Teddy’s plan to open a Benny Hope museum at their mansion, à la Neverland Ranch. Even our first look at Teddy, emerging from the shadows, is a nod to an MJ meme. Benny’s wheelchair-bound, obscured appearance is a re-creation of photos of MJ post-surgery. But the parallels also run deep: Joe Jackson is mentioned by name, as is the psychological and physical abuse he used on Michael to “groom” him for show business. (The Jacksons: An American Dream is another reference.) If Teddy represents MJ’s tortured later years, when he was a shell of himself, Benny is his past — the child robbed of his childhood. 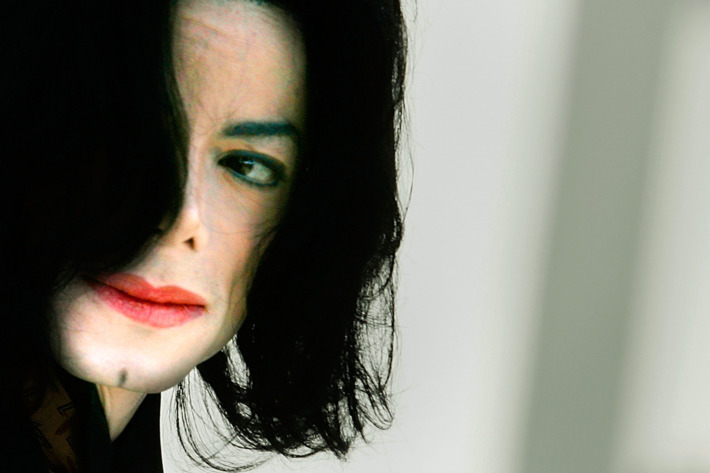 The character Benny likely gets his namesake from Michael Jackson’s “Ben,” the title track from his second album. It’s a song MJ made for the 1972 horror film Ben, about a boy whose only respite from a lonely life comes from befriending a rat. Teddy explains that he’s building a “Great Father” wing of the museum in his house, where he plans to celebrate men like his father: “Joe Jackson, Marvin Gaye Sr., Tiger Woods’s father, Serena Williams’s father …” The Marvin Gaye Sr. reference feels particularly charged because Marvin Gaye was shot and killed by his father in 1984, not unlike how Teddy is murdered at the end of the episode. Teddy tells Darius that Benny Hope is a celebrated pianist. As such, there are photos in the parlor of Benny with other famed musicians like Keith Jarrett, Al Jarreau, Nina Simone, and Ahmad Jamal. Benny, we learn, once had a New York City residency with Jamal, a fellow jazz pianist. One of Jamal’s works, “Piano Solo 11” plays in the episode. Atlanta is never more critical about rap than when one of the Glovers is writing the episode. It makes sense: Donald Glover is a rapper, or at least he was before he stopped rapping and made Awaken, My Love! In this episode, written by Donald, Teddy Perkins offers his opinion about what’s wrong with rap: “I found it never quite grew out of its adolescence. Don’t you find it insufficient as an art form?” If we’re to think of Perkins as Michael Jackson, then it’s important to remember that MJ welcomed rap, and worked with Biggie, as well as featured a rapper on “Black or White.” Which perhaps means that this rather crotchety opinion comes from Glover himself — as does that very funny joke Darius makes about Jay-Z being 65 years old. The 1962 hagsploitation horror classic is the film reference easiest to spot. The film concerns two aging sisters with fame a dim part of their past: the insane Jane (Bette Davis) and the wheelchair-bound Blanche (Joan Crawford). “Teddy Perkins,” like Baby Jane, understands its history as it critiques the price of fame and familial abuse. this week’s #atlantafx will air with no commercials. watch it big and loud pls. 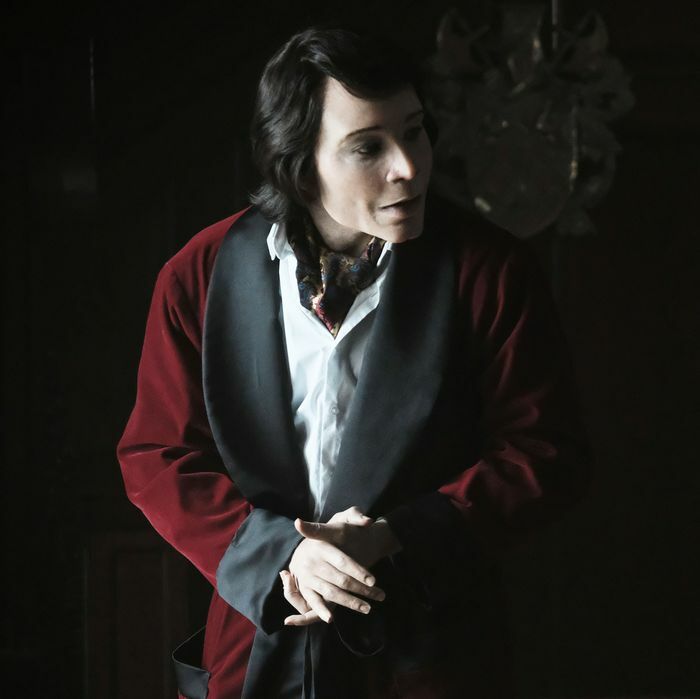 “Teddy Perkins” clearly uses Jordan Peele’s beloved horror-satire as a touchstone, much like Atlanta has done throughout its second season. There’s the strange play on identity when it comes to Teddy’s surgically altered appearance as a black man now appearing white. But it’s the photo Teddy takes of Darius, surprising him with a flash of the camera, that recalls Get Out most. Apparently, Darius really isn’t a picture person. As Darius ponders the theory that perhaps Teddy and Benny are the same person, it’s hard not to see shades of Psycho in such a decrepit but grand home. It’s a thematic inspiration, too: A parent’s abuse begets a killer who adopts his personas so fiercely, only horror can ensue. When Darius opens the door to an empty chair, it may not explicitly recall Psycho’s visuals, but it certainly brings the film to mind. Furthermore, Teddy shares the last name of Psycho star Anthony Perkins. When Darius first encounters Benny Hope in the basement, it immediately calls to mind Claude Rains’s leading performance in the 1933 Universal horror film The Invisible Man. Like Rains’s doomed scientist, Benny is swathed in bandages, dark sunglasses, and a robe to give the episode a further sense of dread. As Teddy slowly cracks open a (very) soft-boiled ostrich egg and eats its gunky innards, he brings to mind the eccentricity of the rich Hollywood folk from Billy Wilder’s 1950 noir Sunset Boulevard. If Donald Glover wasn’t thinking of this 1972 episode of the famed sitcom when he wrote “Teddy Perkins,” then it’d be a remarkable coincidence. “The Piano Movers” follows Fred (Redd Foxx) and his son Lamont (Demond Wilson) after they’re hired to remove a piano from a tony Beverly Hills apartment owned by a very wealthy man. Another Bette Davis horror film that “Teddy Perkins” nods to visually, it’s most notable in the way the creepy mansion is lit and seems to become a character of its own as Darius gets pulled deeper and deeper into Teddy’s trap. Tobe Hooper’s 1974 horror film has reached such an iconic status, nearly everything made in the genre since owes at least some thanks to the work. In Atlanta’s case, “Teddy Perkins” recalls it both specifically (the old man and hammer scene, coupled with Teddy cracking open the ostrich egg) and generally (the feeling of isolation, the creepy family dynamics, and the horror of the house itself). Ti West’s 2009 horror film nods to the Satanic panic of the 1980s, as a young college student’s seemingly innocuous babysitting gig gets her trapped in an isolated home fighting for her own survival. Although it’s a very different story, the sense of isolation and spooky house are probably touchstones for this Atlanta episode. It’s a quick moment, but when Alfred checks in with a “U dead yet?” text to Darius, his lock screen is no random background: It’s an image created by artist Justin Richburg, and it shows Barack and Michelle Obama, MLK Jr., Malcolm X, Allen Iverson, Rihanna, Mike Tyson, Denzel Washington, Oprah, and other black celebrities playing dice. After Darius buys a Confederate hat and a red Sharpie in the beginning of the episode, he blots out the letters of “Southern made” so it reads “U mad.” Aside from being a knock on Lost Causers and those red MAGA hats, it’s also a specific nod to Cam’ron’s famous 2003 appearance on Bill O’Reilly’s Fox News show. Listen to Darius, just Google it.